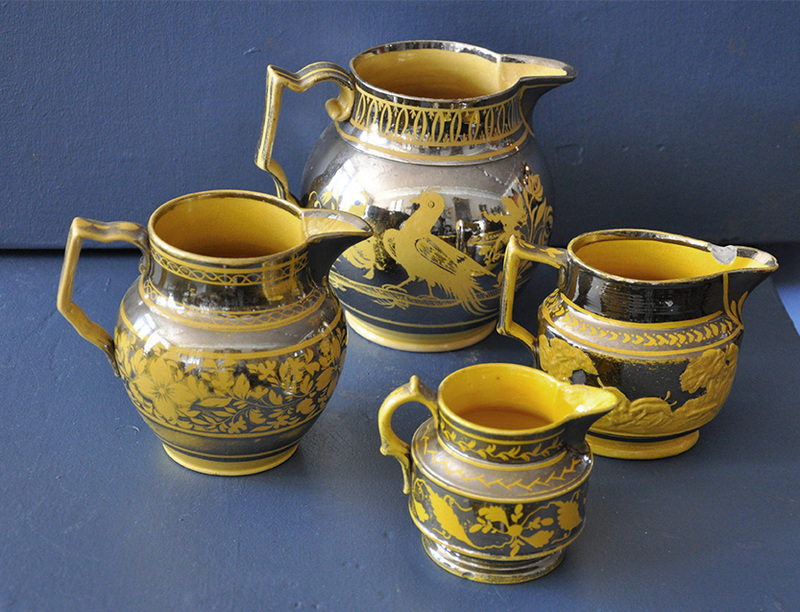 Group of four English silver luster pitchers with yellow decoration, circa 1820-1830. See below for individual descriptions and pricing. 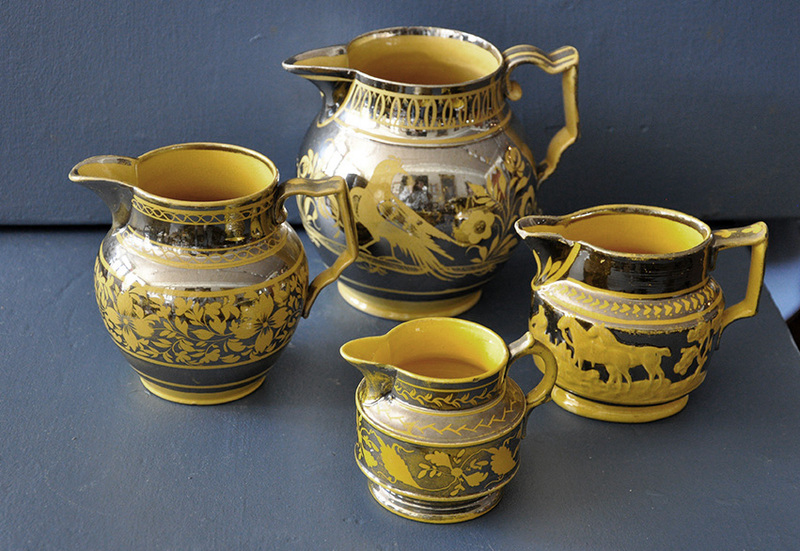 Beautiful silver luster pitcher with canary yellow decoration showing birds & flowers. Condition: Slight rubbing to silver & 3" hairline from the top rim. Ht. 5 3/4". 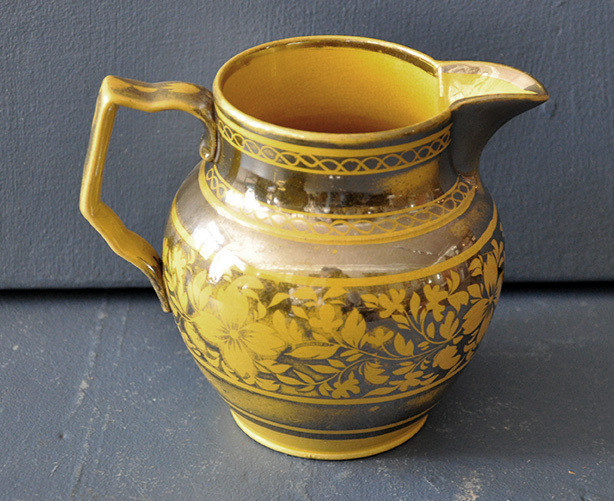 Lovely English silver luster pitcher on a floral canary ground. Condition: Slight rubbing. Ht. 4 1/2". 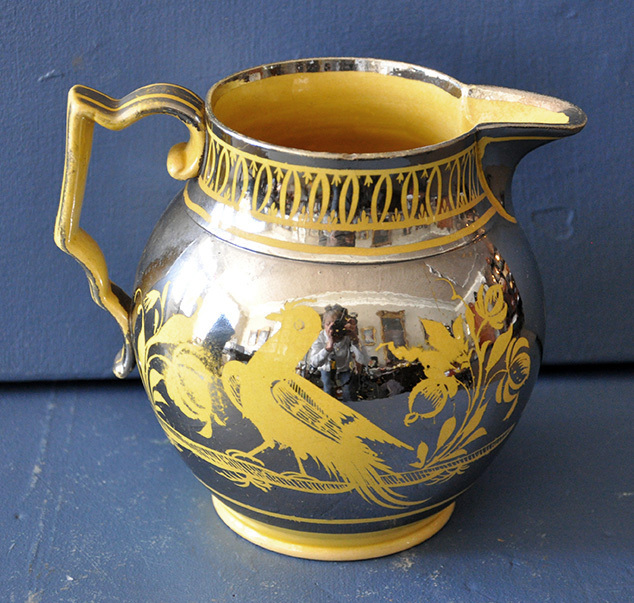 Interesting silver luster pitcher with molded canary decoration. 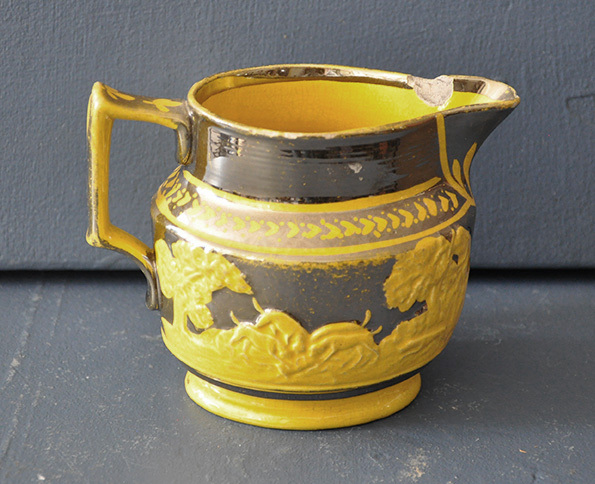 Condition: Edge chips to spout. Ht. 4". 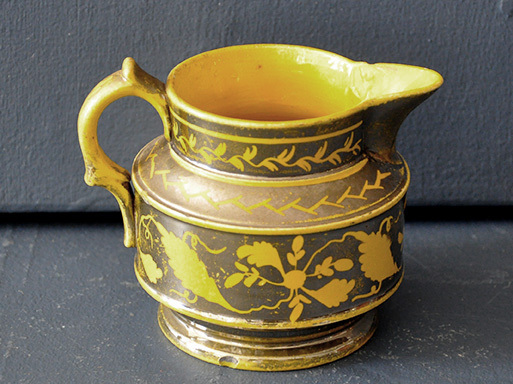 Delightful small silver luster pitcher with canary yellow leaf decoration. Condition: Minor rubbing & edge chips. Ht. 3".